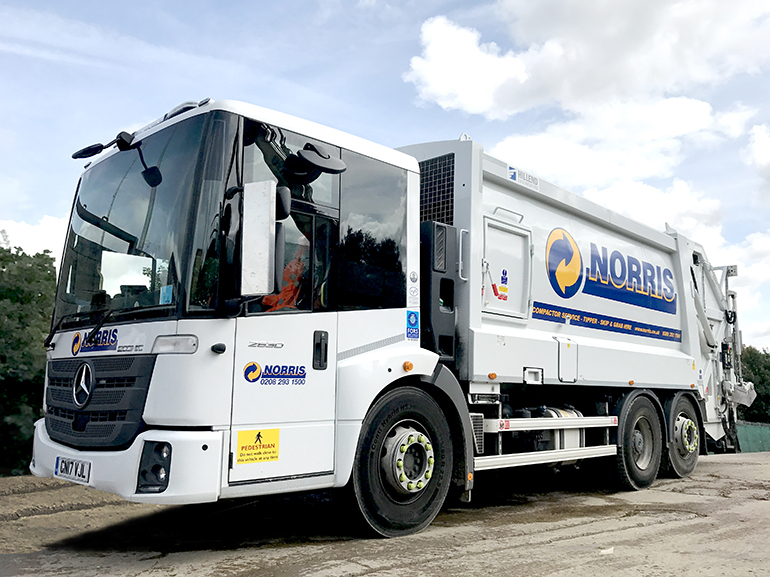 The Scheme is delighted to welcome established waste management company, Norris, as its first ever Supplier Partner. This new type of Scheme partnership has been introduced to enable long-term registered suppliers to demonstrate and promote the highest standards of considerate construction, while forging closer relationships with the Scheme. 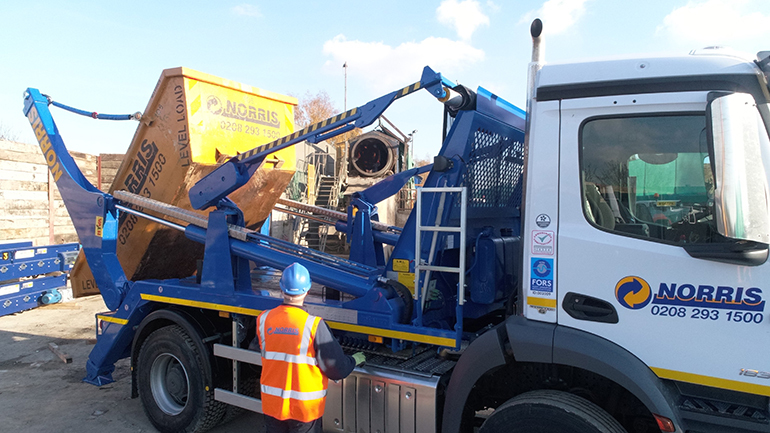 Norris has been serving the construction industry, local communities and businesses for over 40 years and has enjoyed a long and successful history with the Scheme, receiving one Most Considerate Supplier and five Most Considerate Supplier Runner-up Awards in succession. Kieron Norris, Norris’s Sales Director said about this new venture with the Scheme: “The move from Company Partner to Supplier Partner made complete sense for Norris as the profile was far more appropriate for our interaction with the main contractors and subcontractors that make up the majority of our customer base. “Norris has always been proud to be a market-leader in our industry and we see being the first CCS Supplier Partner as a privilege and an honour. Kieron said that as a Supplier Partner, Norris is able to benchmark, on a national level, their own standards against those of their peers, giving them great motivation to continue to excel. He also said that Supplier Partner registration furthers the company’s confidence of the impact of its image to its customers – both potential and existing. Commenting on the potential future opportunities, Kieron said: “As more local authorities, councils and governing bodies now place an emphasis on recognised standards, we hope that the Supplier Partner registration will open many doors and opportunities that may otherwise be unavailable. Kieron said that Norris’s registration and association with the Scheme had given the company a competitive advantage when being considered by potential customers for their projects. He said: “Now in its twenty-first year, the Scheme is undeniably the industry standard when it comes to improvement, progress and, in so many cases, excellence. Achieving a string of Gold awards every year since 2012, Norris attributes its ongoing successes to a strong management team that believes in valuing every employee and every customer. Kieron said: “Professionalism has always been paramount to us and I am confident that it is a word synonymous with the Norris name in our industry. “We are open-minded and pragmatic in our approach to the ongoing success of the company. We encourage good, constant, company-wide communication, and careful consideration is given to any ideas or suggestions for improvement. Asked if he would recommend registration with the Scheme to other suppliers, Kieron said: “Yes certainly; we have always spoken highly of the Scheme and the benefits its registration brings. Just like all Scheme Partners, Supplier Partners are invited to two meetings a year, giving them the opportunity to meet with other Partners, receive the latest Scheme updates and make any suggestions for improvement. Partners also get full access to the Scheme’s online Portal, allowing them to benchmark and compare themselves against others in the industry. They also have the opportunity to sit on various development groups within the Scheme.